By now, you probably heard the news that Hulu has finally unveiled its new subscription-based service called Hulu Plus. But in case you missed the details, it’s worth mentioning that one of the ways you’ll be able to enjoy this service in the near future is via your Xbox 360. That’s right - Microsoft is partnering with Hulu to provide a native, customized experience for watching Hulu right from your Xbox. The full service won’t be available until 2011, though. It will also require an Xbox LIVE Gold membership. But I have a little secret for you: you don’t have to wait until 2011 to watch Hulu on your Xbox. 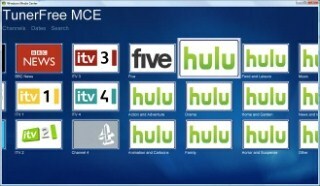 There are several ways Media Center users can gain access to Hulu right now. It’s been awhile since I last tested these (posted here), but the one I liked the best was PlayOn, which still supports Hulu, Netflix, CBS, YouTube and more. It’s kind of pricey though – $39.99 for the first year and then $19.99 afterwards. But as a “cancel your cable” alternative, it’s an investment worth making since its yearly price is comparable to what many pay monthly for their cable TV.